When I saw this addition yesterday I laughed. It's amazing the gems that you find just walking around this area near London Bridge. 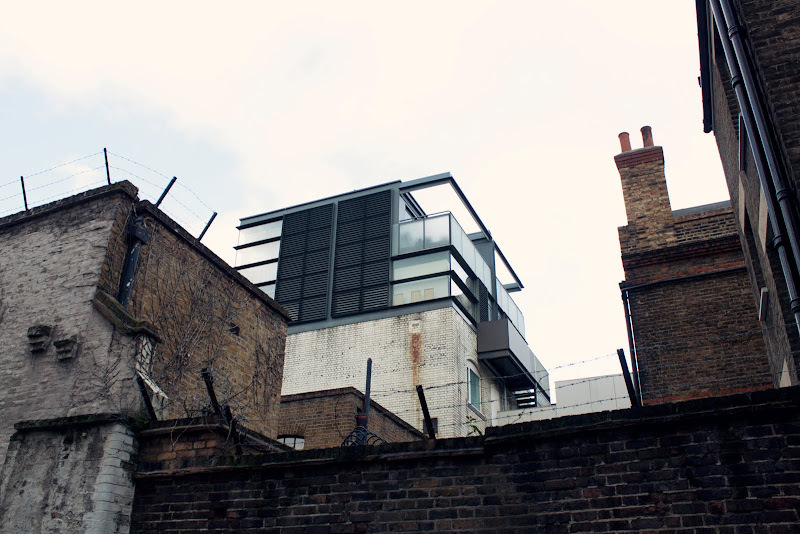 From the street it is completely hidden, but it has a view across the Thames to all of London. It's beautiful in its simplicity and connection to the "old". This might be one of the coolest things i've photographed here. I have so many pictures to go through, it's going to be a good summer for photo edits based on the fact that i'm swamped in studio work. I'll be posting when I can though. Next on the list is my first film.